The SPECTRALIS®OCT Angiography Module delivers high-resolution OCTA images with a lateral resolution of 5.7 μm/pix. Combined with the precision of TruTrack Active Eye Tracking, the OCTA Module enables fine capillary networks to be visualized in great detail. 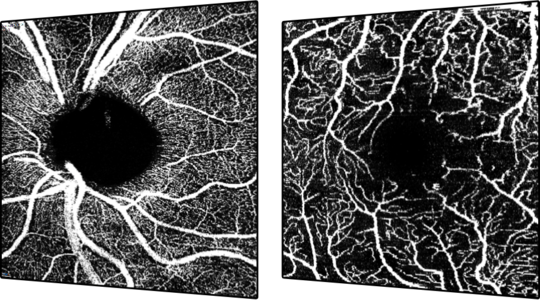 The axial resolution of 3.9 μm/ pixel allows for segmentation of all four histologically-validated retinal vascular plexuses. Custom slabs within the superficial and deep vascular plexuses offer a more comprehensive clinical evaluation. The projection artifact removal (PAR) tool utilizes information from the superficial vascular plexus to remove artifacts from OCTA images. This enables a more precise visualization of vascular structure and pathology. 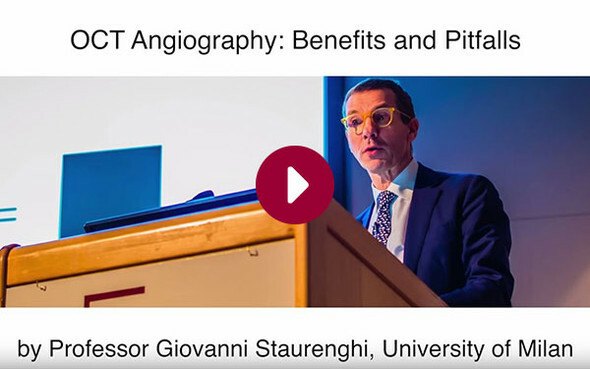 Professor Giovanni Staurenghi, University of Milan, discusses the unique attributes of hybrid angiography. Prof. Staurenghi presents a thoughtful and rational look at the role of OCT angiography in the clinical decision making process as part of a multimodality imaging approach to patient investigation and diagnosis. 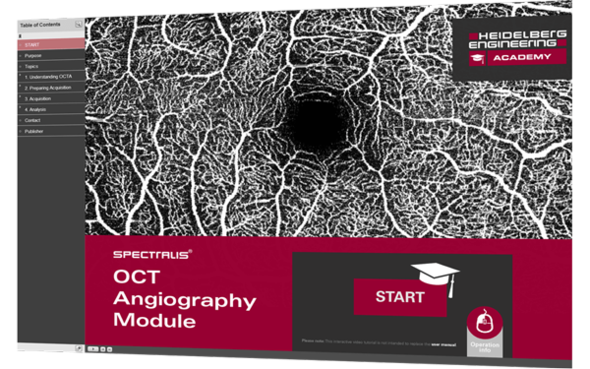 Discover your SPECTRALIS OCT Angiography Module interactively! 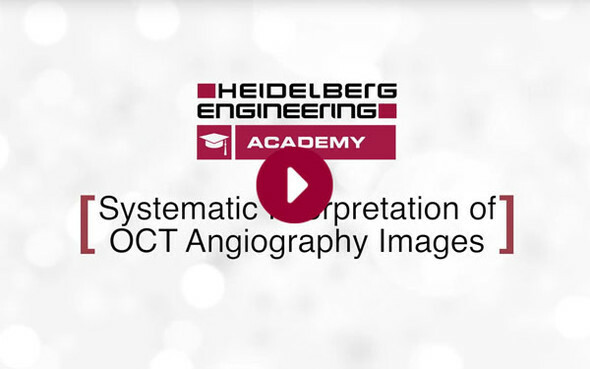 This is a short instructional video which teaches a systematic approach to evaluating OCT Angiography images in 8 steps.